Despite significant advances in the treatment of multiple myeloma (MM) and substantial improvement in survival in the past decade, it remains an incurable disease. Patients with relapsed MM who are double refractory to proteasome inhibitors and immunomodulatory drugs (IMiDs), or who have relapsed after ≥3 prior therapies, have a median survival of 8 months. 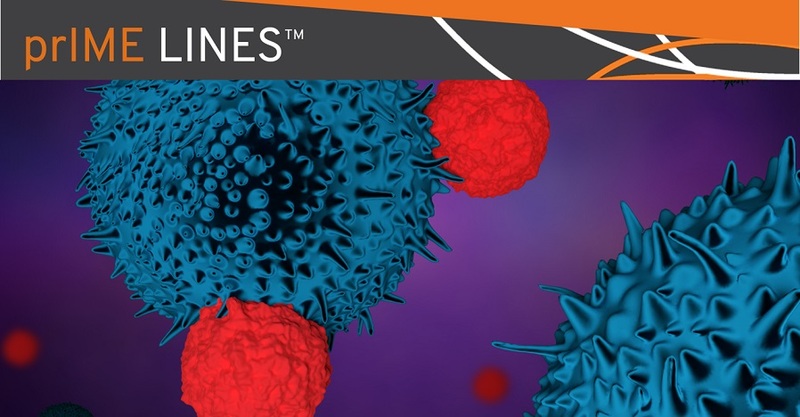 Chimeric antigen receptor modified T cells (CAR T cells) are a unique cancer therapy that allows for highly antigen-specific immune stimulation and have been highly successful in other hematologic malignancies, including leukemia and lymphoma. B-cell maturation antigen (BCMA), a cell surface receptor expressed universally on myeloma cells, is currently being investigated as a potential target for CAR T-cell therapy in MM. At the 23rd meeting of the European Hematology Association (EHA), Jesus Berdeja, MD (Sarah Cannon Research Institute, Nashville, Tennessee, United States), presented updated safety and efficacy results (after five additional months of follow up) from a phase I trial of bb2121, a second-generation CAR T-cell therapy targeting BCMA, in 43 heavily pretreated patients with MM. In the dose escalation cohort of this trial, 21 patients received doses ranging from 50 to 800 x 106 CAR T cells, and in the dose expansion cohort 22 patients received doses of 150 to 450 x 106 CAR T cells. The overall response rate (ORR) was 33.3% (N = 3) in patients receiving a dose of 50 x 106 cells, 57.1% at a dose of 150 x 106 (N = 14), and 95.5% in 22 patients who received >150 x 106 CAR T cells. BCMA expression level did not impact ORR. Minimal residual disease (MRD) negativity was achieved in 16 of 16 evaluable responders. In patients receiving an active dose (≥150 x 106), the median progression-free survival (PFS) was 11.8 months, rising to 17.7 months in patients who achieved MRD negativity. Bb2121 was generally well tolerated, and the safety profile has been manageable even at the highest doses. Cytokine release syndrome (CRS) and neurotoxicity, the most common adverse events (AEs) associated with CAR T cells, occurred in 63% and 33% of patients, respectively. These were mostly grade 1 or 2, with only 5% and 2% of patients experiencing grade 3 or higher AEs. Dr Berdeja concluded that bb2121 demonstrated extremely promising activity in this heavily pretreated population, particularly when compared to other therapies approved in this setting. A pivotal phase II trial (KarMMaTM) in the relapsed/refractory setting is currently enrolling, and trials in the frontline setting are planned.